How did India become a British Colony? The ills of British Raj in India are well documented; historians - both Indian and British - have also left large literature [ref] regarding the revolt of 1857. Popular perception has it that the British defeated a motley band of Indian princely states who came together under the titular regime of Bahadur Shah Zafar - the last Moghul. This description while technically accurate hides in itself a very important disgrace - as to how did the British get to the point where they became the common opponent to all the princely states. Surely, the East India Company's (EIC) conniving use of their relations with certain Indian states, its treachery and opportunism in using 'laws' like Doctrine of Lapse - brought them to a position of control in several parts of India, but this was not sufficient for a foreign entity whose officers had once prostrated in front of India's monarch, to gain control over large parts of India. The main events which brought EIC (the predecessor of the British Raj in India) into control of the largest parts of India, were the infighting, stupidity and power-lust of different factions of the then 'ruling alliance' of India - the Marathas. British and Leftist historians have very conveniently used the titular regency of Bahadurshah Zafar to conclude that the British wrested power of the Indian sub-continent from the Mughals - nothing could be far from the truth. When the British started 'conquering' India, the Mughals did not have control over most of India. Right-wing historians rightfully elucidate that it was the Marathas and not the Moghuls who were ruling the largest part of the Indian empire in the 1750s when the British walked into India. While these same historians extoll virtues of Rani Laxmibai and Tatya Tope; they shrewdly ignore how and why the Peshwa power centre of Pune; the political capital of Marathas from 1750s-1800s and the virtual capital of India, fell into British hands. Marathas were able to consolidate their territory during the Mughal–Maratha Wars and later controlled a large part of the Indian subcontinent. From the time of Balaji Vishwanath - the first Peshwa - till Madhavrao (the penultimate Peshwa before Baji Rao II who gave away the throne to the British), the Maratha Empire had control of almost the whole of India. By the late 1700s, the equation between Marathas and Mughals was so unequal, that in 1788, when Ghulam Qadir attacked Delhi, it was the Maratha commander, Mahadaji Shinde who led the army of Marathas to Delhi and saved the Mughal emperor and his family. The territory in Yellow was under direct control of Marathas while Hyderabad state in Deccan - was a tributary of the Marathas. The only territories which are a part of present-day India but weren't part of Maratha empire were Oudh (or Awadh - now known as Eastern UP), Bengal and Mysore (comprising parts of present-day Karnataka / Tamil Nadu) and Kashmir. Sidenote 1: Notably, during this period, another Empire - the Sikh one - was emerging from the underbelly of the decayed Mughal Empire. Led by iconic Ranjit Singh, who just like the Peshwas consolidated power distributed among the Sikh Misls into one cohesive Empire. Shivaji (1627-80), the founder of Maratha Empire, and Guru Gobind Singh (1666-1708), the creator of the Khalsa, both rose against the tyiannical rule of Aurarangzeb, and although the Sikhs` real crusade in the Punjab took its birth on the banks of the River Godavari in Maharashtra, the two forces did not come in direct contact with each other until the Marathas, in a bid to fill the power vacuum caused by the fall of the Mughal empire, expanded their influence as far as Delhi. How did an empire as expensive as this, collapse? The answer lies in how the last generation of Peshwa's acted in complete disregard to national honour, strategic prescience and let petty personal feuds come in the way of the larger good. The story starts with Nana Fadnavis - considered by Europeans as the Indian Machiavelli who was Phadnavis or Finance Minister of the Maratha Empire under Balaji Baji Rao. The Marathas were defeated by Abdali in the Third Battle of Panipat, and the heir apparent Balaji Baji Rao's eldest son Vishwas Rao died in the same and so Madhavrao - his younger brother assumed Peshwai (Premiership) under the regency of his uncle Raghunathrao. While power politics continued to wax and wane between the uncle and nephew - overall this period saw a resurrection of the Maratha empire after the eventful defeat at Panipat. In this resurrection, Pilaji Rao Gaekwad, Mahadji Shinde (Scindia) and Tukoji Holkar played a major role in advancing Maratha confederacy and establishing their sub-regency in central India from what are present-day Baroda, Gwalior and Indore. However, Madhavrao died of TB in turn succeeded by the youngest prince Narayan Rao. Narayan Rao was assigned his uncle as the regent and this is where we start the story of human falling and subsequent fall of India into the British hands. A story no different in its roots than the grand epic of Mahabharat - lust for the throne and craving to see one's direct progeny to inherit it. Ragunathrao's wife Anandibai conspired with mercenary guards, the Gardi's, and got them to murder Narayanrao in broad daylight in the regent Raghunathrao's own presence. The legend has it that Narayanrao himself ran to his uncle's chambers shouting काका मला वाचवा and walked into a trap laid out by the Gardis who killed him in front of his uncle. The next in line of succession was the yet unborn son of Narayan Rao, but Raghunathrao tried assuming the Peshwai after the murder of Narayanrao. Suspected to be an accomplice in the murder itself, he was however deposed by a coterie of 12 ministers - titled Barbhai [बारभाई / बारहभाई - 12 brothers]. The council was Nana Phadnavis's mastermind plan to protect Madhavrao II, son of Narayanrao, born posthumously to Gangabai, the widow of Narayanrao, from the Peshwa family's internal conflicts. The Barbhai Council was an alliance of influential Sardars (generals) led by Nana. The Barbhai council ran the state and continued to rule under the name of Madhavrao-II. During this time, the Maratha Empire was significant in size with a number of vassal states under a treaty of protection who recognized the Peshwa as the supreme power. Raghunathrao was tried, convicted, and sentenced to death by the justice Ram Shastri Prabhune but the sentence was never carried out. Sidenote 2:By this time, while the Marathas had reached the zenith of their power, the Sikhs, caught in the pincer grip of Mughal and Afghan persecutors, were still struggling for survival. The two 'Empires' fought on the same side in couple of wars - including the above metioned Third Battle of Panipat and subsequent resistance to other advances by Abdali throughout 1700s. Left to sulk, Raghunathrao, craving for revenge, went ahead and joined the British. Thane, Vasai and Sashti were to be handed over to the British, and in return, the Company would assist Raghunathrao to become the Peshwa. Raghunathrao hoped to do to the Peshwai, what Mir Jafar had done to Sirajuddaulah. His personal ambition, however, was in complete disregard to the size and stature of the Empire he was inviting the British to intervene into. 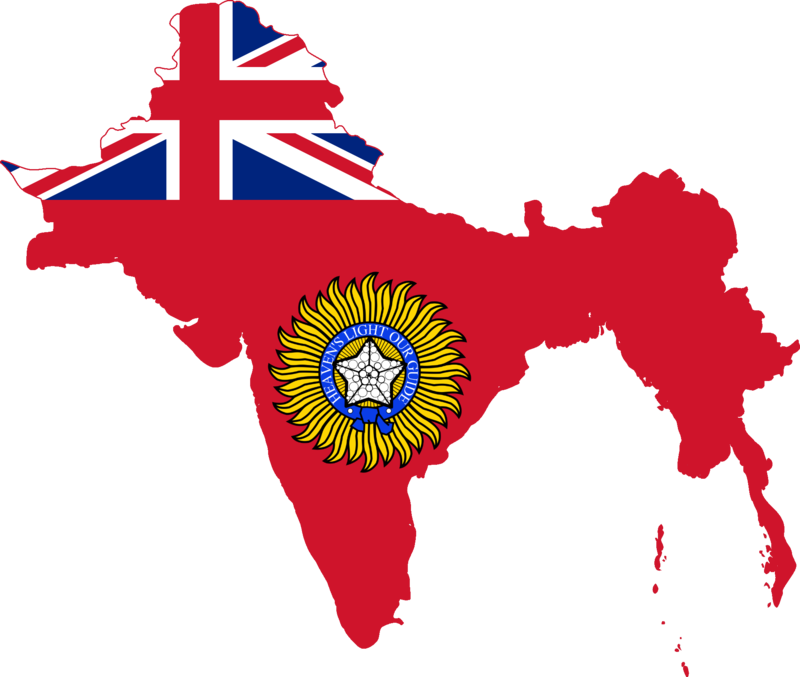 This treaty was the watershed event which gave the British an entry to annex the actual rulers of the entire Indian sub-continent. However, the Barbhai council was a very able and astute administration - even though (or maybe because) Nana Phadnavis was considered a Machiavellian administrator. The Peshwas defeated the advances of the British from Bombay and signed treaties with them, effectively cutting off any support Raghunathrao had. Ragunathrao died in 1783. Unfortunately for the Barbhai, in 1795 Madhavrao-II committed suicide at the age of 21 and they were left with no option but to appoint Raghunathrao's son Baji Rao-II as the Peshwa. Nana Phadnavis, who was glue and leader of the Barbhai council died in 1800 - by then Mahadji Scindia, who was instrumental in Maratha victories against the British and a key member of Barbhai council had also died. While Baji Rao-II remained the titular head, he lost his control over the other chieftains after Nana's demise. The first to fall to British was Baroda - in 1802, the Gaekwads concluded the Treaty of Cambey with the British that recognized their independence from the Maratha empire and guaranteed the Maharajas of Baroda local autonomy in return for recognizing British suzerainty. But this would have still been a small loss as only a small slice of the Maratha empire was chipped away to British suzerainty. What followed was devastating - after Nana's demise, Daulatrao Scindia [Mahadji's grand-nephew, ruler of Gwalior seat of Marathas] started intervening in the affairs of the Pune. In the ensuing power struggle within the heirs of the Barbhai, Scindia's rival chief Yashwant Rao Holkar [of Indore] marched towards Pune. He proclaimed allegiance to the Peshwa and sent assurances that he only wanted to free Pune of Scindia's control. The last nail in the Maratha Empire's coffin and the first major milestone in the British Raj's control of the Indian sub-continent was when Baji Rao -II 'invited' the British to thwart advances from Scindia and Holkar (members of his own Peshwa tribe) to reserve the throne of the Empire for himself. Sidenote 3:The last Sikh-Maratha contact look place in 1805 when Yashwant Rao Holkar, defeated and pursued by the British General, Lord Lake, entered the Punjab and sought help from Maharaja Ranjit Singh [reference]. Initially, Baji Rao-II sought to play the Scindia's against the Holkar's but in 1802, Holkar defeated the joint forces of Peshwa and Scindia in the Battle of Hadapsar. At this point, Baji Rao II concluded the Treaty of Bassein in December 1802, in which the British agreed to reinstate Baji Rao II as Peshwa, in return for Marathas paying the British its maintenance and accepting the stationing of a permanent British political agent (Resident) at Pune. Holkar and Sindhia, once divided, now resisted the British intrusion in Maratha affairs - but it was already too late. The British triumphed in the second Anglo-Maratha wars and later after the Third Anglo-Maratha war Bhosles, Holkars, and other Maratha feudatories were also defeated. Almost all (including the Newalkars of Jhansi - which in 1857 gave birth to the rebel Jhansi Ki Rani Laxmibai) finally accepted British suzerainty. Having accepted British intervention only to retain the throne of Pune, Baji Rao-II soon realised how pyrrhic his victory was. He tried repeatedly thereafter to usurp power back from British - trying in vain during the Third Anglo-Maratha war to get his rivals - Bhosles, Holkars, Scindias and others to help him defeat the British. But an Empire once divided, could never come back together - descendants of feudatories neither trusted nor respect Baji Rao-II and none came for help. Finally, after his surrender, Baji Rao-II was settled by the British at Bithur near Kanpur and lived and died in exile. His entire lifetime, Baji Rao-II is said to have been haunted by the ghost of Narayan Rao, whom his mother allegedly got murdered. He conducted several religious ceremonies from Pandharpur to Banaras (Varanasi) to get rid of the Ghost. Whether or not Narayan Rao's ghost was real or just a figment of his imagination, the ghost of Maratha Empire would surely have haunted Baji Rao-II. While he had 'other accomplices' to the crime of handing over India to the British, Baji Rao-II was definitely the 'Jaichand' of India against the British. Bithur, where Baji Rao-II was exiled, gained prominence during the battle of 1857 - when Baji Rao's successor Nana Sahib laid siege to the city of Kanpur and made Bithur his headquarters. Nana Sahib's story is often told extolling virtues of valour and national pride like those of his contemporaries Rani Laxmi Bai and Tatya Tope, however a deeper look into its annals will indicate why Indians lost the Battle of 1857 also. Nana Sahib too, like his predecessor, was not fighting only for a higher national pride - unlike the founder of Marathas, Shivaji. He too had many fallings and petty personal reasons for his participation in the 1857 revolt - like other players of the times. Marathas and all other Indian princesses who participated in 1857, were as divided as the Marathas pre-1857, which led to India's defeat to the British in 1857. That will be the subject of my next post.